* Note: this operation works for the mentioned above devices with Android 6.x firmwares' versions and may not work for some phones’ S-boot. In this case try to write another firmware version or only S-boot from firmware and repeat the operation again. Also note: This operation will not reset/delete user data on the device. Important info: Octoplus Huawei FPP Server will be closed for maintenance for 1-2 hours next few days. Resetting FRP for Huawei devices will not be possible during this period. Please don't post error logs, everything will be back to normal soon, even more fast and reliable than before. OCTOPLUS FRP TOOL SOFTWARE V.1.0.5 IS OUT! Octoplus FRP Tool v.1.0.5 is out! New brands and new models added! OCTOPLUS FRP TOOL SOFTWARE V.1.0.7 IS OUT! 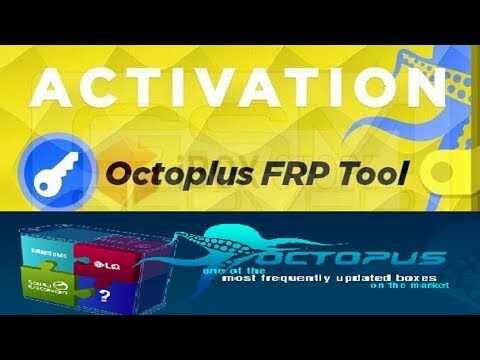 Octoplus FRP Tool v.1.0.7 is out! New brands, new models added again! All times are GMT +6. The time now is 06:46 AM.